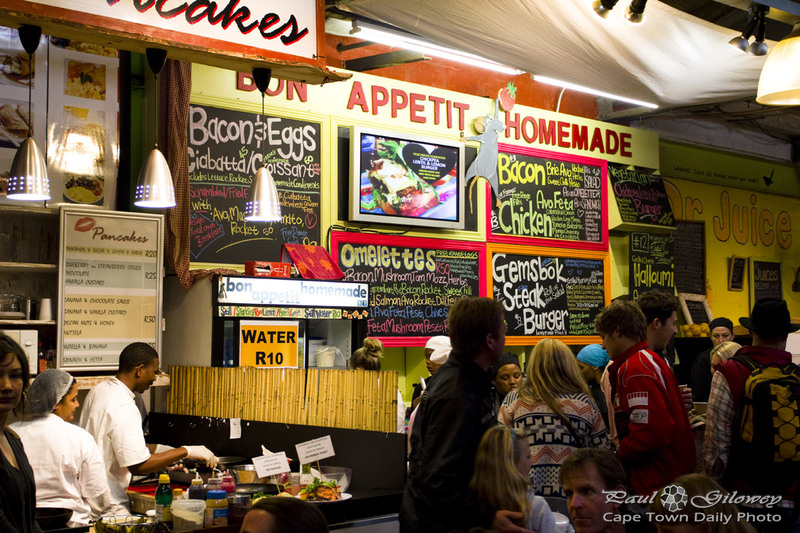 As I mentioned in my previous post - the food at the Bay Harbour Market in Hout Bay was superb. After walking from stall to stall I settled on the one in this photo - their omelettes looked to awesome to pass up. Posted in General and tagged market on Monday, 29 July, 2013 by Paul.